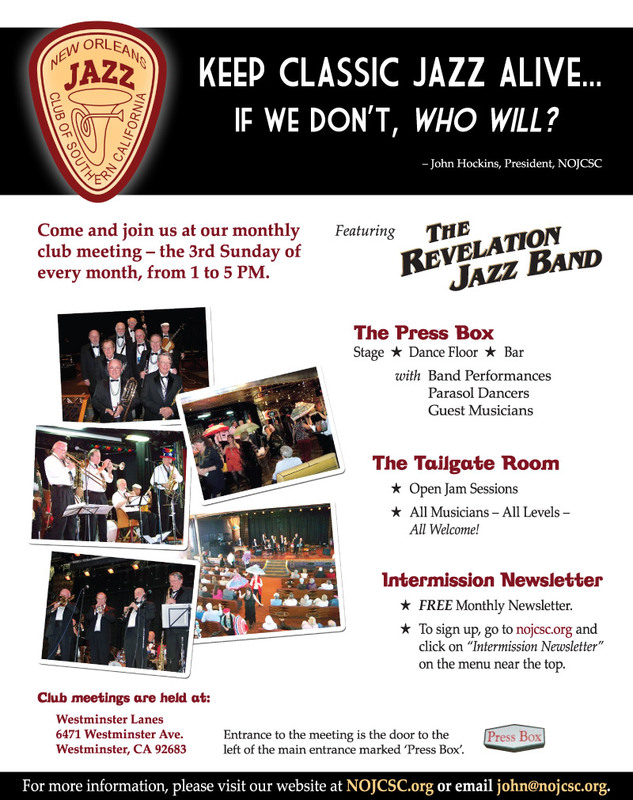 Join us at our next club meeting on Sunday, November 18, 2012 at the Press Box at Westminster Lanes (info below) for an entertaining afternoon of traditional jazz featuring the Revelation Classic Jazz Band and guest musicians! “Membership Drive” is continually on the agenda of your Board of Directors. How else is our club and the music we all enjoy to be kept alive. Towards the end of each year we ask that you concentrate your efforts in bringing new members to the Club. AND please RENEW your membership EARLY. Keep the impetus of our club and the beat of the music energized! Spread the gospel and bring your friends and families to visit our Club at Westminster. 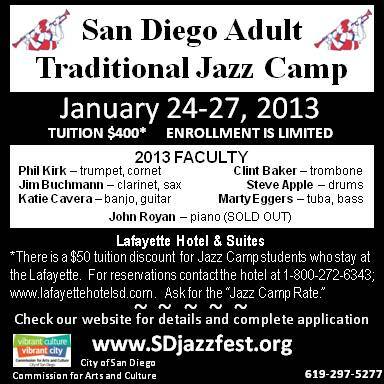 RENEW YOUR MEMBERSHIP NOW! For the good of the club it is never too early, but it CAN be too late. We have paid all our bills, but the next pizza party invoice will be upon us this December. 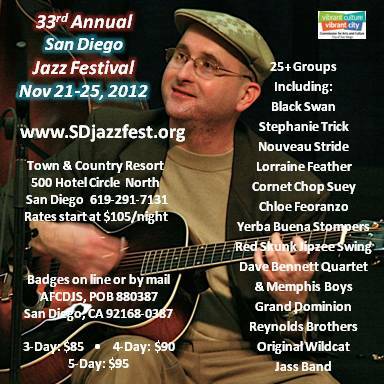 As John Hockins, our president says, “Keep Classic Jazz alive. If we don’t, who will?”. Conn 20J silver tuba with case & heavy duty Wenger stand. If you have any questions or would like to try your hand at editing this newsletter, please contact NOJCSC President John Hockins at john [at] nojcsc [dot] org or 949-498-9301.